LOCATION! LOCATION! LOCATION! LOOK NO FURTHER....I have the one for YOU!! 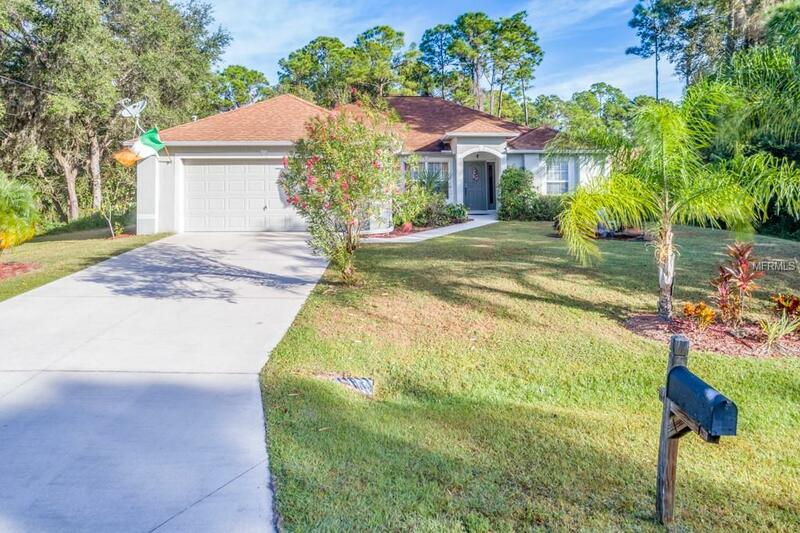 Gorgeous well maintained 3 bed/ 2 bath SOLAR HEATED POOL home with a wooded private setting in YOUR backyard beautifully landscaped with a relaxing sitting area and pond. Home features cathedral ceilings, laminate flooring throughout except for bathroom and kitchen which have ceramic tile, spacious kitchen with stainless steel appliances NEW stove, NEW dishwasher, NEW microwave, with an open concept to family room perfect for entertaining YOUR guest. Bonus separate living room and dining room features sliders out to YOUR pool lanai perfect for you and your family. Beautiful master bath with dual sinks, shower and separate garden tub for relaxing. Quiet neighborhood yet minutes to shopping, restaurants, golf and a short distance to the beautiful gulf beaches. Don't delay...Make your appointment today!! !